SE trim, Ironman Silver Metallic exterior and Gray interior. CARFAX 1-Owner, ONLY 40,458 Miles! WAS $11,995, FUEL EFFICIENT 37 MPG Hwy/26 MPG City! CD Player, iPod/MP3 Input, Satellite Radio. SEE MORE! KEY FEATURES INCLUDE Satellite Radio, iPod/MP3 Input, CD Player. MP3 Player, Remote Trunk Release, Keyless Entry, Child Safety Locks, Electronic Stability Control. Hyundai SE with Ironman Silver Metallic exterior and Gray interior features a 4 Cylinder Engine with 137 HP at 6300 RPM*. AFFORDABLE TO OWN Reduced from $11,995. BUY FROM AN AWARD WINNING DEALER Toyota of Hollywood is a full-service, premier dealership that's committed to serving Toyota enthusiasts in the Los Angeles and Hollywood area. You can count on Toyota of Hollywood. As part of Southern California's trusted automotive group, LACarGUY.com, we're committed to bringing you some of the highest quality cars, our best deals for your dollar, and the customer service you deserve. Pricing analysis performed on 4/18/2019. Horsepower calculations based on trim engine configuration. Fuel economy calculations based on original manufacturer data for trim engine configuration. Please confirm the accuracy of the included equipment by calling us prior to purchase. PRICE DROP FROM $13,995, FUEL EFFICIENT 36 MPG Hwy/26 MPG City! SE trim, Ironman Silver Metallic exterior and Gray interior. Clean, CARFAX 1-Owner. CD Player, iPod/MP3 Input, Satellite Radio, Non-Smoker vehicle. AND MORE! KEY FEATURES INCLUDE Satellite Radio, iPod/MP3 Input, CD Player. MP3 Player, Remote Trunk Release, Keyless Entry, Child Safety Locks, Electronic Stability Control. Hyundai SE with Ironman Silver Metallic exterior and Gray interior features a 4 Cylinder Engine with 137 HP at 6300 RPM*. Non-Smoker vehicle. A GREAT TIME TO BUY Was $13,995. WHO WE ARE Toyota of Hollywood is a full-service, premier dealership that's committed to serving Toyota enthusiasts in the Los Angeles and Hollywood area. 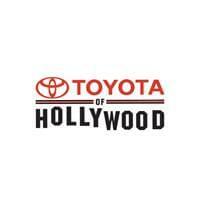 You can count on Toyota of Hollywood. As part of Southern California's trusted automotive group, LACarGUY.com, we're committed to bringing you some of the highest quality cars, our best deals for your dollar, and the customer service you deserve. Pricing analysis performed on 4/20/2019. Horsepower calculations based on trim engine configuration. Fuel economy calculations based on original manufacturer data for trim engine configuration. Please confirm the accuracy of the included equipment by calling us prior to purchase. Clean, CARFAX 1-Owner. LS trim. JUST REPRICED FROM $12,995, EPA 42 MPG Hwy/30 MPG City! Smart Device Integration, WiFi Hotspot, Onboard Communications System, Back-Up Camera, iPod/MP3 Input, Non-Smoker vehicle. READ MORE!======KEY FEATURES INCLUDE: Back-Up Camera, iPod/MP3 Input, Onboard Communications System, Smart Device Integration, WiFi Hotspot MP3 Player, Remote Trunk Release, Keyless Entry, Electronic Stability Control, Bucket Seats. Chevrolet LS with Summit White exterior and Jet Black interior features a 4 Cylinder Engine with 153 HP at 5600 RPM*. Non-Smoker vehicle. ======A GREAT TIME TO BUY: Was $12,995. ======WHO WE ARE: Toyota of Hollywood is a full-service, premier dealership that's committed to serving Toyota enthusiasts in the Los Angeles and Hollywood area. You can count on Toyota of Hollywood. As part of Southern California's trusted automotive group, LACarGUY.com, we're committed to bringing you some of the highest quality cars, our best deals for your dollar, and the customer service you deserve. Pricing analysis performed on 4/8/2019. Horsepower calculations based on trim engine configuration. Fuel economy calculations based on original manufacturer data for trim engine configuration. Please confirm the accuracy of the included equipment by calling us prior to purchase. CARFAX 1-Owner, Clean, LOW MILES - 31,653! JUST REPRICED FROM $17,995, FUEL EFFICIENT 37 MPG Hwy/29 MPG City! SV trim. Bluetooth, CD Player, Keyless Start, Back-Up Camera, Satellite Radio, iPod/MP3 Input, Non-Smoker vehicle. SEE MORE! KEY FEATURES INCLUDE Back-Up Camera, Satellite Radio, iPod/MP3 Input, Bluetooth, CD Player, Keyless Start. MP3 Player, Keyless Entry, Remote Trunk Release, Steering Wheel Controls, Child Safety Locks. Nissan SV with Titanium exterior and Charcoal interior features a 4 Cylinder Engine with 124 HP at 6000 RPM*. Non-Smoker vehicle. A GREAT TIME TO BUY Was $17,995. BUY WITH CONFIDENCE CARFAX 1-Owner OUR OFFERINGS Toyota of Hollywood is a full-service, premier dealership that's committed to serving Toyota enthusiasts in the Los Angeles and Hollywood area. You can count on Toyota of Hollywood. As part of Southern California's trusted automotive group, LACarGUY.com, we're committed to bringing you some of the highest quality cars, our best deals for your dollar, and the customer service you deserve. Pricing analysis performed on 4/22/2019. Horsepower calculations based on trim engine configuration. Fuel economy calculations based on original manufacturer data for trim engine configuration. Please confirm the accuracy of the included equipment by calling us prior to purchase. WAS $15,995, EPA 37 MPG Hwy/28 MPG City! CARFAX 1-Owner. SEL trim. Smart Device Integration, Bluetooth, Cross-Traffic Alert, Blind Spot Monitor, Back-Up Camera, Aluminum Wheels, iPod/MP3 Input, Satellite Radio. SEE MORE! KEY FEATURES INCLUDE Back-Up Camera, Satellite Radio, iPod/MP3 Input, Bluetooth, Aluminum Wheels, Smart Device Integration, Blind Spot Monitor, Cross-Traffic Alert. MP3 Player, Keyless Entry, Remote Trunk Release, Steering Wheel Controls, Child Safety Locks. Hyundai SEL with Symphony Silver exterior and Gray interior features a 4 Cylinder Engine with 147 HP at 6200 RPM*. A GREAT TIME TO BUY Reduced from $15,995. WHO WE ARE Toyota of Hollywood is a full-service, premier dealership that's committed to serving Toyota enthusiasts in the Los Angeles and Hollywood area. You can count on Toyota of Hollywood. As part of Southern California's trusted automotive group, LACarGUY.com, we're committed to bringing you some of the highest quality cars, our best deals for your dollar, and the customer service you deserve. Pricing analysis performed on 4/18/2019. Horsepower calculations based on trim engine configuration. Fuel economy calculations based on original manufacturer data for trim engine configuration. Please confirm the accuracy of the included equipment by calling us prior to purchase. JUST REPRICED FROM $15,995, FUEL EFFICIENT 40 MPG Hwy/30 MPG City! CARFAX 1-Owner, Clean. SE trim. Onboard Communications System, Brake Actuated Limited Slip Differential, Smart Device Integration, iPod/MP3 Input, Aluminum Wheels CLICK ME! KEY FEATURES INCLUDE Back-Up Camera, Satellite Radio, iPod/MP3 Input, Onboard Communications System, Aluminum Wheels, Brake Actuated Limited Slip Differential, Smart Device Integration. MP3 Player, Keyless Entry, Steering Wheel Controls, Child Safety Locks, Electronic Stability Control. Ford SE with Ingot Silver Metallic exterior and Charcoal Black interior features a 3 Cylinder Engine with 123 HP at 6000 RPM*. Non-Smoker vehicle. AFFORDABILITY Was $15,995. BUY FROM AN AWARD WINNING DEALER Toyota of Hollywood is a full-service, premier dealership that's committed to serving Toyota enthusiasts in the Los Angeles and Hollywood area. You can count on Toyota of Hollywood. As part of Southern California's trusted automotive group, LACarGUY.com, we're committed to bringing you some of the highest quality cars, our best deals for your dollar, and the customer service you deserve. Pricing analysis performed on 4/15/2019. Horsepower calculations based on trim engine configuration. Fuel economy calculations based on original manufacturer data for trim engine configuration. Please confirm the accuracy of the included equipment by calling us prior to purchase. CARFAX 1-Owner. SV trim. FUEL EFFICIENT 39 MPG Hwy/31 MPG City! Bluetooth, iPod/MP3 Input, Back-Up Camera. CLICK ME!======KEY FEATURES INCLUDE: Back-Up Camera, iPod/MP3 Input, Bluetooth. Rear Spoiler, MP3 Player, Remote Trunk Release, Keyless Entry, Child Safety Locks. ======SHOP WITH CONFIDENCE: CARFAX 1-Owner ======WHO WE ARE: Toyota of Hollywood is a full-service, premier dealership that's committed to serving Toyota enthusiasts in the Los Angeles and Hollywood area. You can count on Toyota of Hollywood. As part of Southern California's trusted automotive group, LACarGUY.com, we're committed to bringing you some of the highest quality cars, our best deals for your dollar, and the customer service you deserve. Pricing analysis performed on 4/23/2019. Fuel economy calculations based on original manufacturer data for trim engine configuration. Please confirm the accuracy of the included equipment by calling us prior to purchase. Why Buy a Used Car Under $15K at Toyota of Hollywood?